Reality Check: Thanos' home "planet" of Titan? – AiPT! Reality Check: Thanos' home "planet" of Titan? Hey, so I guess some thing called Infinity War is in the news. Have you heard about this? It’s a little-known tale with almost no marketing, in which a mentally sound alien warlord has the bright idea to wipe out half the universe. Nice guy. His parents must be so proud. Or at least they would be if he hadn’t KILLED THEM! Well, I guess we don’t know for sure that Thanos kills his parents in Avengers: Infinity War, but in the comics he sure did, along with everyone else on his home of Titan. 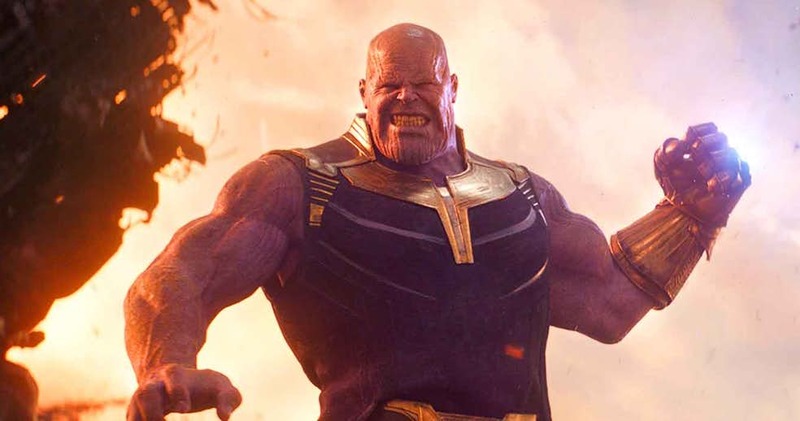 As April 27 approaches, we’ve seen more backstory on Thanos, and a lot of outlets call it his home planet of Titan. Unless it’s some OTHER Titan that doesn’t correspond to the one in our own solar system, that’s no planet — it’s a moon. The same brouhaha that took Pluto’s planetary status away similarly scuttles Titan’s application. The premier group of professional astronomers, the International Astronomical Union (IAU), decided in 2006 that for a body to be called a “planet,” it must be relatively spherical, it must clear its orbit of other large objects and — here’s the problem — it must orbit the Sun. Planetary scientist Alan Stern, who recently helmed the hugely successful New Horizons mission to Pluto, wasn’t bitter at all when he and a NASA team submitted a new potential definition to the IAU last month, one that would nix the sun-circling and orbit-clearing parts, opening the door for over a hundred bodies in the solar system to potentially be called planets. Even without that boost, Titan is more planet-like than most of the things we currently call moons. It’s 50% bigger than our Moon, which actually makes it bigger than the smallest “traditional” planet, Mercury. Titan even has a dense atmosphere (unlike every other moon in the solar system), composed mostly of nitrogen. It’s also the only known object in the solar system, other than Earth, to have stable bodies of liquid on the surface — although it’s methane, and not water. Like many of Saturn’s moons, Titan is composed of ice and rock that coalesced from a disc that surrounded the planet as it formed. That means Titan probably doesn’t have the internal dynamo forcing plate tectonics like on Earth, which is thought by many to be a crucial requirement for higher life. But — BUT! — last year the Cassini spacecraft discovered the building blocks of complex organic molecules in that thick, nitrogen atmosphere. Soooo, while Thanos and his kin might not be running around on Titan right now, the conditions may be right for life to get kickstarted sometime in the future. And those microbial Titans probably won’t care if you call it a planet or not.